EFPlus, Inc. is the foremost developer and provider of proprietary eforms software solutions for the hospitality industry. We specialize in seamless integration with property management software and eforms solutions that improve customer experience and present sophistication, while increasing efficiency and profitability. 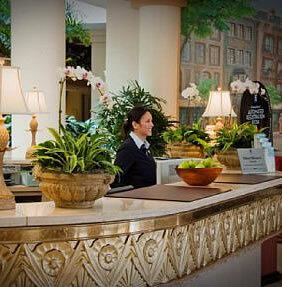 EFPlus serves hotels and resorts throughout America and Europe. Our eforms are customized to your specifications for your individual property, while reducing your costs by replacing preprinted forms. EFPlus has significantly reduced operating costs for thousands of hotels and resorts, by providing eforms. We can eliminate preprinted forms costs, save employee time managing forms inventories; reduce time spent loading forms and clearing paper jams, provide more flexible form content, and much more! Ask us about our patented dual-purpose Reg/Key Packet eform and stock. Eforms eliminate the need for preprinted forms by overlaying the form template design onto data generated from property management software, allowing the hotel to print the form and data simultaneously on blank paper without reducing printer speed. For a complete list of features and benefits, visit our Product Information page. Hilton brand hotels are receiving new graphics based upon the rebranding rollout schedule, beginning December 1, 2011. Please submit your order here and the new eform templates will be emailed to you for download onsite, pursuant to the schedule. If, at this time, you are not scheduled to Rebrand, we will notify you.